Bleu is a beautifully decorated apartment, of approx. 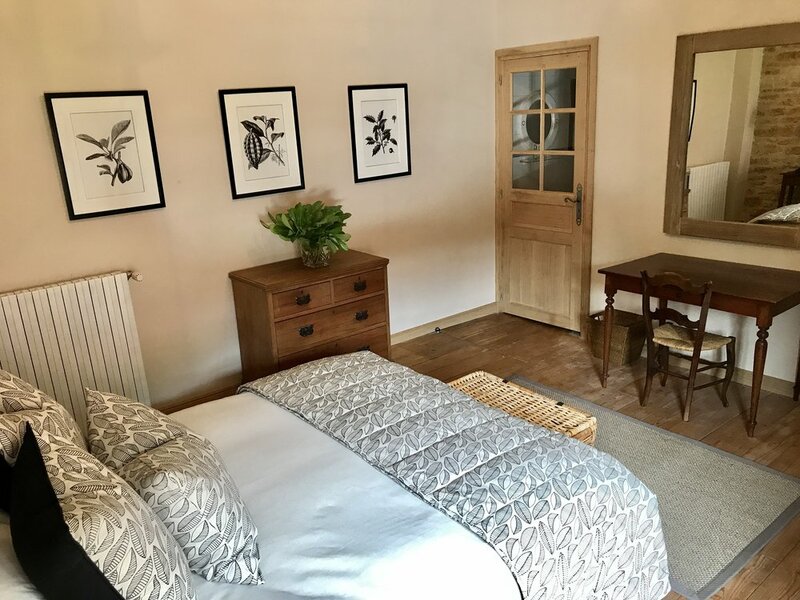 50sq.m and perfect for a couple (2 people) It has a comfortable open plan sitting room, dining area and kitchenette with double french doors opening onto a courtyard equipped with a BBQ and dining table. The living room equipped with a sofa, TV and arm chair, adjoining the sitting room is a small kitchenette with fridge, microwave and cooker plate, (no oven). perfect for preparing breakfast, lunch or dinner to enjoy on the terrace area outside. on the second level there is a chic double bedroom with large french windows and an en-suite bathroom with shower (no bath). Peaceful luxury in the countryside! Make Bleu your home while you explore the best of France.